Rent a removal van and see amazing results! Would you be interested in hiring a removal van from us? Movers Man and Van knows the stress and strain people go through when they relocate. Most of the time, one of the main problems people face with moving is the cost. Indeed, moving house or moving office costs money and for most people, this is the last thing they need. Most people are struggling these days and live by a very tight budget. If you are one of these people, you are probably dreading moving because of the time and energy that goes into it. If you need help, we want you to know that we are right here for you and you can hire us whenever you need us. There is no doubt about it, moving is hard work and it takes a great deal of effort and hard work and even more, plenty of money. If you hire us, it will not have to cost you an absolute fortune. It can be rather cost effective in fact. One of the best services we offer right now that many people are opting for is our removal van hire. That’s because it is affordable, easy and stress-free. If you are interested in hearing more, please get in touch by calling us on 020 8746 9674 and a member of staff will be right here with you. If you want to hire a commercial van, that is great. We offer a range of removal vehicles that are all clean, safe, secure and perfect for your next move. The great thing about this method moving is that you get a lot of say in the move. You can sort most of it out. The great benefit is that you save lots of money and time as well. If you need a cost effective move, we highly recommend this service. You will be amazed. 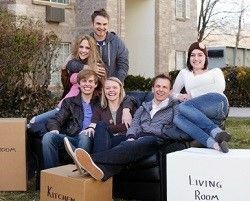 This service is affordable, easy and will make your move extra smooth: the way you want it to be. There is no point in struggling. If you need help, we are right here to lend our expertise and we can assure you that if you hire us you will be more than impressed with the services we offer to you. You can have whatever you need right here. We have a team of highly trained drivers who operate each moving van. So you need not worry or have any concerns whatsoever. You can count on us for everything you need. You can choose Movers Man and Van for the best removal services on the block. If you need help, please get in touch with us now and we won’t let you down. We are more than aware of the stress and chaos people deal with when they move and we’d like nothing more than to make your move extra smooth and easy for you. We promise you, in fact, a superb easy and smooth move when you hire us. So if you fancy using our van hire service, you won’t regret it as long as it is us that you choose. We are one of the leading companies in the area for removal van hire and we promise you nothing but the best, most high quality service. You will love what we have to offer you. All you need to do, if want to book, is call us now on 020 8746 9674 and we assure you the best possible services ever. Plus, you will get a free moving van hire quote.